The Jesuit Block and Estancias of Córdoba are religious, educational and agricultural developments by the Society of Jesus between 1604 and 1767. Together they form the origins and the core of the missionary activities of the Jesuits in South America. 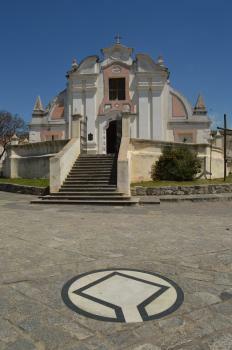 In Córdoba proper, the Jesuits were allocated one of the blocks in the checkerboard plan of the city, like the other orders (Franciscan, Dominican). This grew into the core of their mission, with a university (Colégio Maximo) based on Jesuit teachings, a college and a church that also held the Jesuit political/administrative bodies. The rural estancias were to provide the necessary resources by farming and textile production. Irrigation systems, factories and mills were constructed to let them flourish economically (which they did). Every trip has its day or location where one feels to have hit rock bottom (at least my trips do). This time the honour goes to: Cordoba! I didn't like Cordoba at all - it's a working city crumbling at all edges. I had the worst hotel of my stay, and even the worst food (which is difficult in Argentina). I was shortchanged by a taxi driver here for the first time this trip (but was alert enough to see his trick, returning 2 pesos instead of 20). I did a quick visit to the Jesuit Block in the city center. It is located in the pedestrian area, among other more colourful churches. The WHS designated buildings all have displays telling some of their history. They are now in use as a regular University and Church. You can have a look inside, but I wasn't overwhelmed. To escape the bad city vibes I took a local bus to Alta Gracia, one of the estancias included. The driver dropped me off at what I first thought was a nice city park with a lake, but turned out to be the tajamar, the water reservoir constructed by the Jesuits for irrigation. At the other end of the park is the pretty Baroque church. And next to that, El Obraje: a former mill that now is a school (where kids took classes half in the open). Well, that was about it. I hope others can write more imaginative stories about the Jesuit Block and Estancias than I can. In October 2017, I made a day trip by minibus from Córdoba to Alta Gracia, the location of one of the estancias. The minibus stopped in Alta Gracia's center, from where it was a short walk to Plaza Manuel Solares and the estancia. From the estancia, it was a 15-minute walk, the first part along the estancia's reservoir, to the Museo Casa de Ernesto Che Guevara, where the world's most famous revolutionary lived in the 1930s. I also visited the Jesuit Block in Córdoba, which is now home to the city's natural history, paleontological and botanical museums, as well as a church and library. There are some interesting little details to see within the block. The designs on the walls are unique to this part of the world because of the way they fused together the Spanish view of Christianity with the connection to nature of the indigenous people; The architect of the church was a boatbuilder by trade and so the ceiling of the building resembled the hull of a ship; The university’s collection of books includes a very rare complete bible from 1645 written in seven different languages. Cordoba overall is quite a fun little city and this is a worthwhile sight within it. I visited in early October 2015. And I do not agree with Els. Sorry ! Cordoba is yes a working city, but it's also a university city and has a large area (triangle around the Jesuit Quarter) with lots of restaurants, bars and other places to spend some time. I loved the university and it's architecture; make sure you do the guided tour to visit the inside. Then the estancias, I saw all. The idea was to see all in one day but I kind of choose the adventurous route through the mountains to the Candelaria. I understand after driving why my navigator said 4x4 only; i was in a simple city car. If you stick to the paved roads you COULD see all 5 in a day. But better Alta Gracia on a seperate morning or afternoon. I do agree tha tone was the less interesting. the others were must better. please see the link for all photos an my full adventurous story including GPS track how to drive it most quickly. Cordoba is well worth a stop, but dont plan it on a Sunday, because everything is closed then, except the many churches of course which are very much alive on a Sunday. The highlights among the Unesco world heritage sites was the visit to the Jesuit library with ist amazing collections of ancient books. At one stage, this collection reached more than 6000 volumes, but after the expulsion of the Jesuits ordered by the Spanish Crown, lots of books went missing, and some ended up in the National Library in Buenos Aires.These books date from the early XVIth century onwards, and were written i n Latin, Greek, Spanish etc, as well as in vernacular languages like Quechua.Some are richly decorated with copper engravings and woodcuts.I have seen a fine example of a justice book dating from 1539 written in Basel, Switzerland. The latest addition to the Jesuit library is the collection of ambassador Ferrer Vieyra which was donated to the museum in 2001.It consists of 387 beautiful books, among them are 22 incunables that were printed before 1500 and are out outstanding historical significance. Other places that you should include in your visit are the Manzana Jesuitica, La Compania and the Capilla Domestica that was closed this time for renovation. The main Cathedral on beautiful Plaza San Martin has a richly decorated interior, attractive stained glass windows, and a wonderful ceiling. We also did the half day trip to Alta Gracia, take Sarmiento buses from the Minibus terminal in Gordoba for the 45 minutes trip.Visit the Estancia Jesuitica and the Ernesto Che Guevara museum where the young revolutionary lived in his childhood. I visit this site twice and i as the "Justification for Inscription" said "The Jesuit buildings and ensembles of Córdoba and the estancias are exceptional examples of the fusion of European and indigenous values and cultures during a seminal period in South America. The religious, social, and economic experiment carried out in South America for over 150 years by the Society of Jesus produced a unique form of material expression, which is illustrated by the Jesuit buildings and ensembles of Córdoba and the estancias". 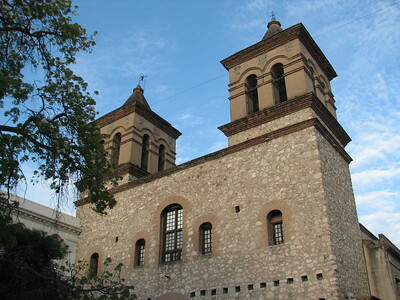 The main church in Córdoba city was built as a ship, and was one of the wonder of than time in the area. The "estancias" are fines examples of Barroco local stile. In Alta Gracia we saw also a Che Guevara´s house museum, and Manuel Falla´s house. For me is a very interesting site, i a marvellous area. I visited this site in January 2003. The weather was warm and sunny for the 3 days I was in the area. I went first to Alta Gracia, tumbling off the overnight bus from Buenos Aires which, confusingly, goes first to Cordoba before heading back south to Alta Gracia. It is a charming small town,home of Che Guevara for several years, with the estancia at its heart next to the Tajamar, the artificial lake built to provide water to the surrounding lands. It was only when I got to Cordoba that I realised that the "block"(or Manzana-"apple"?) in this case is the large city block allocated to the Jesuits when the city was laid out. Cordoba, like so many Spanish colonial cities is built on a gridiron pattern. Aside from the, to be expected, religious buildings the principal use of the Block is for the University, the oldest in Argentina. Some handsome buildings here. I reckoned Candelaria, 220kms from Cordoba, and with no public transport links, was beyond my reach, but next day I took a guided tour by minibus to the 3 other estancias. All had their own attractions. Santa Catalina is said to be the largest and the only one now in private ownership. Access is allowed only to its white painted, lofty church. 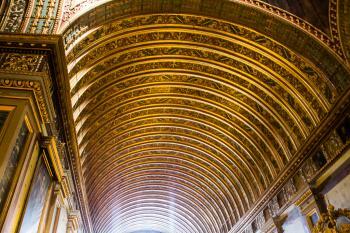 Jesus Maria dates from 1618, is famed for its wine and has an excellent Jesuit Museum. Lastly Caroya has a picturesque rural setting its beauty enhanced, when I was there, by the late afternoon sunlight slanting across its buildings. In my view this is a site well worthy of its status and, for those of us who like to get a bit off the beaten track, one that amply rewards the visitor.